If you retract the awning when wet it needs to come out to dry as soon as the rain has stopped. Patio domestic awnings are generally for shade and light rain but tested up to quite high wind speeds in controlled environments. 8.Can I fit the awning myself9 Yes of course but they are heavy and always require at least 2 people to manoeuvre and position on the building. 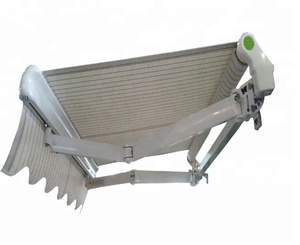 Alibaba.com offers 2,561 motorized retractable awning products. About 79% of these are awnings, 1% are blinds, shades & shutters. A wide variety of motorized retractable awning options are available to you, such as aluminum alloy, aluminum. You can also choose from pvc, acrylic, and poly. As well as from ordinary switch, remote control switch, and manual. 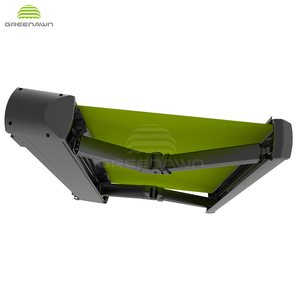 And whether motorized retractable awning is pu coated, pvc coated, or pa coated. 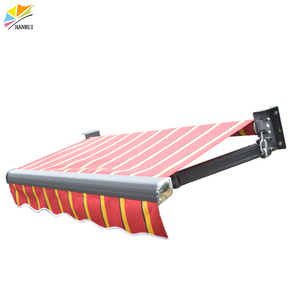 There are 2,618 motorized retractable awning suppliers, mainly located in Asia. The top supplying countries are China (Mainland), Turkey, and United Arab Emirates, which supply 97%, 1%, and 1% of motorized retractable awning respectively. 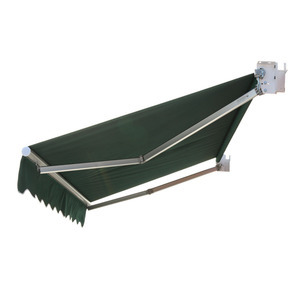 Motorized retractable awning products are most popular in North America, South America, and Oceania. You can ensure product safety by selecting from certified suppliers, including 304 with Other, 280 with ISO9001, and 91 with ISO14001 certification.